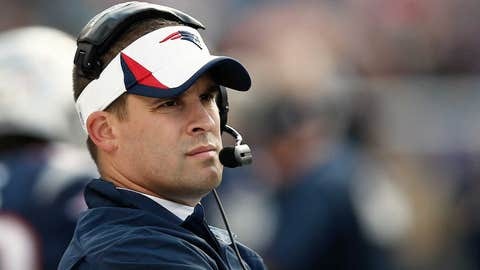 Various media reports stated the Browns will seek to interview New England Patriots offensive coordinator Josh McDaniels. 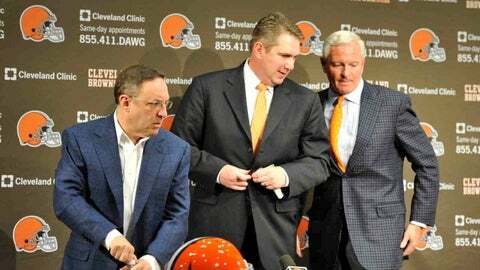 BEREA, Ohio — The Cleveland Browns are in the market for a head coach again. They probably have some phone numbers from last year’s search, but it’s unclear if there’s a favorite or a timetable. Banner said the team is intent on "finding a coach that we’re confident can win, can take this group…see it as a group that has a strong nucleus (and) figure out how to utilize the assets we have going into the offseason to take us to the next level. I think that’ the focus of what we’re going to try to find." By rule, interviews with assistants of teams with byes in the first weekend of the NFL playoffs must be completed by the end of the weekend. McDaniels is a Northeast Ohio native and a graduate of John Carroll University in Cleveland. He declined to interview with the Browns or any other team last offseason. McDaniels was the head coach of the Broncos in 2009 and the first 12 games of 2010. He’s since been the offensive coordinator in St. Louis and back with the Patriots, with whom he started his NFL career in 2000. Neither Gase nor Quinn has head coaching experience. Banner said he and Haslam addressed Browns players on Monday, telling them that making a change after just one season under Chudzinski "is justifiably frustrating and it creates some skepticism. Our job as the leaders of the organization, the job of the new head coach, is to kind of work through that. We have a highly competitive group of core players that I think are very anxious to find the right person to follow and try to get the franchise where they so badly want it to be."